"The Luminox illumination system gave us the sustained superior performance that is expected of a Navy SEAL and what we expect of our gear.” Shaun Marriot, Lt Commander, Navy SEAL (Retired). Luminox is kicking off 2016 by formalizing its long term relationship with the Navy SEALs by becoming their watch licensee. The relationship started over 20 years ago when the SEALs were searching for an analog timepiece to suit their needs and discovered Luminox with its unique self-powered illumination technology for optimum visibility day and night in any condition. “As a research, development, test, and evaluation officer for the Navy SEALs I was asked to find a dependable watch for night missions. After testing a variety of brands in the most arduous conditions, Luminox was the only one still functioning at the end of the evaluation.” Nick North, Navy SEAL (Retired). Since the first meeting with Nick North, and the first Navy SEAL series, Luminox has continuously updated its line of watches to meet the demanding requirements of this community of warriors. The Navy SEAL Colormark series is the evolution of that original series of timepieces. 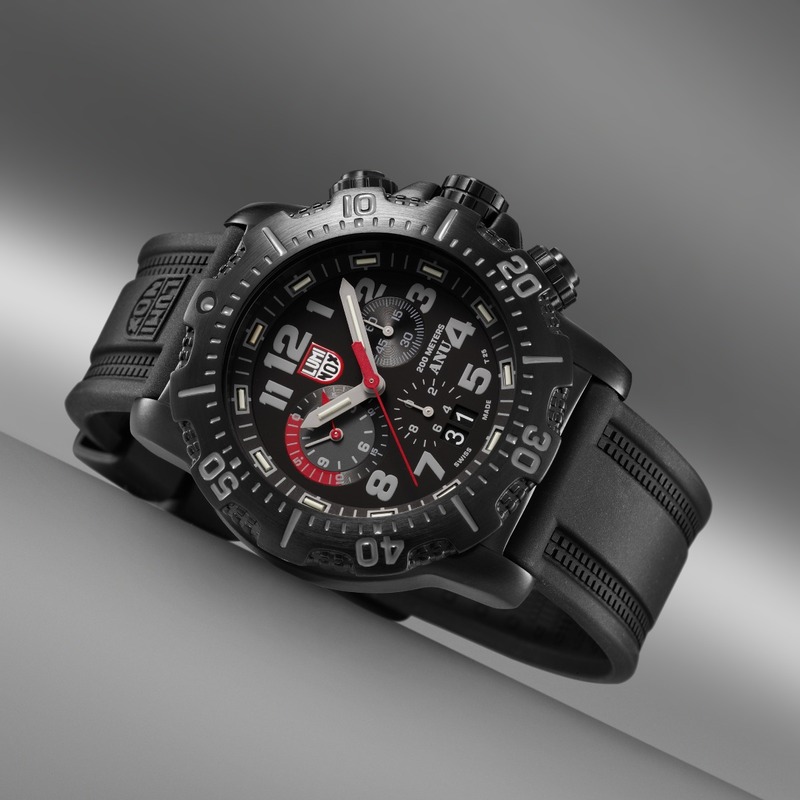 In 2013, Luminox had the opportunity to develop a new series of watches with upgraded features and again collaborated with SEALs, both active duty and retired. This partnership resulted in the A.N.U. (Authorized for Navy Use) series featuring a black PVD-plated stainless steel case, with screw crown and case back, sapphire crystal, multi-jewel Swiss quartz movement and 10 year lithium battery. “When so much relies on the accuracy of a timepiece, we focused in on the essentials; accuracy, reliability and performance. The Luminox illumination system gave us the sustained superior performance that is expected of a Navy SEAL and what we expect of our gear.” Shaun Marriot, Lt Commander, Navy SEAL (Retired). “It is an absolute honor to have an ongoing relationship with the SEALs, and to be selected by U.S. Navy SEAL Commanders to design and supply watches for some of the most elite and respected Special Forces in the world. It is particularly exciting that two generations of SEALs arrived at the same conclusion and chose Luminox as their watch of choice. Becoming their watch licensee formalizes this ongoing relationship,” says Barry Cohen, Co- Founder of Luminox. Over the years, Luminox became part of the SEALs’ Essential Gear as both the relationship and the watches continued to grow and expand. Today, Luminox can be sure that every Navy SEAL, wearing a Luminox is equipped with a timepiece where unmatched visibility is a given. Luminox, the original self-powered luminous watch brand, is the watch of choice for U.S. Navy SEALs, F-117 NighthawkTM stealth jet pilots, other elite forces and professional divers. Luminox watches glow up to 25 years in any light condition, Always Visible. Tough, powerful and accurate, Swiss-made Luminox is the ultimate night vision gear for serious athletes, rugged outdoorsmen and other peak performers. Visit luminox.com and facebook.com/Luminox.